www.artisan-spirits.co.uk is a site operated by Artisan Spirits Ltd. (“We“). We are registered in Scotland under company number SC504908 and have our registered office and main trading address at #9 – 5th Floor, 41 St Vincent Place, Glasgow, United Kingdom, G1 2ER. Our VAT number is 218 7513 04. We are a limited company. To contact us, please email info@artisan-spirits.co.uk or telephone our customer service line on +44(0)141 248 6060. If you do not agree to these terms, you must not use our site. We recommend that you print a copy of these terms for future reference. Our site is only intended to be used or accessed by individuals who are of legal age to purchase and consume alcoholic beverages in the country where they reside or (if different), the country from which they are accessing our site. Our site is not intended to be accessed from any country where the sale, consumption, advertising, marketing or promotion of alcoholic beverages is not permitted. You must confirm to us, prior to entering our site that you are of legal age to purchase and consume alcoholic beverages in the country from which you are accessing our site. You should not access our site if you are not of legal age to purchase and consume alcoholic beverages. You should not access our site if you are accessing our site from a country where the sale, consumption, advertising, marketing or promotion of alcoholic beverages is unlawful or is not permitted. 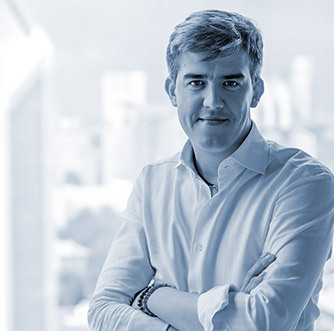 Our Acceptable Use Policy, which sets out the permitted uses and prohibited uses of our site. When using our site, you must comply with this Acceptable Use Policy. We amend these terms from time to time. Every time you wish to use our site, please check these terms to ensure you understand the terms that apply at that time. These terms were most recently updated on 10 February 2017. Our site is made available free of charge. We do not guarantee that our site, or any content on it, will always be available or be uninterrupted. We may suspend or withdraw or restrict the availability of all or any part of our site for business and operational reasons. We will try to give you reasonable notice of any suspension or withdrawal. If you choose, or you are provided with, a user identification code, password or any other piece of information as part of our security procedures, you must treat such information as confidential. You must not disclose it to any third party. If you know or suspect that anyone other than you knows your user identification code or password, you must promptly notify us at info@artisan-spirits.co.uk. You may print off one copy, and may download extracts, of any page(s) from our site for your personal use and you may draw the attention of others within your organisation to content posted on our site. Our status (and that of any identified contributors) as the authors of content on our site must always be acknowledged. You must not use any part of the content on our site for commercial purposes without obtaining a licence to do so from us or our licensors. The content on our site is provided for general information only. It is not intended to amount to advice on which you should rely. You must obtain professional or specialist advice before taking, or refraining from, any action on the basis of the content on our site. Although we make reasonable efforts to update the information on our site, we make no representations, warranties or guarantees, whether express or implied, that the content on our site is accurate, complete or up to date. Where our site contains links to other sites and resources provided by third parties, these links are provided for your information only. Such links should not be interpreted as approval by us of those linked websites or information you may obtain from them. We have no control over the contents of those sites or resources. 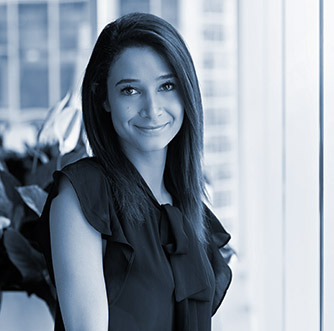 We do not exclude or limit in any way our liability to you where it would be unlawful to do so. This includes liability for death or personal injury caused by our negligence or the negligence of our employees, agents or subcontractors and for fraud or fraudulent misrepresentation. We exclude all implied conditions, warranties, representations or other terms that may apply to our site or any content on it. use of or reliance on any content displayed on our site. any indirect or consequential loss or damage. Please note that we only provide our site for domestic and private use. You agree not to use our site for any commercial or business purposes, and we have no liability to you for any loss of profit, loss of business, business interruption, or loss of business opportunity. 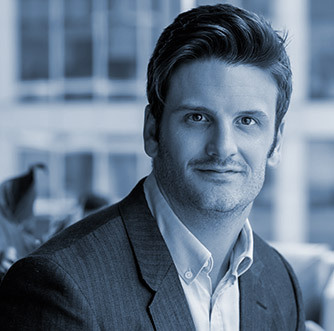 If defective digital content that we have supplied, damages a device or digital content belonging to you and this is caused by our failure to use reasonable care and skill, we will either repair the damage or pay you compensation. We do not guarantee that our site will be secure or free from bugs or viruses. 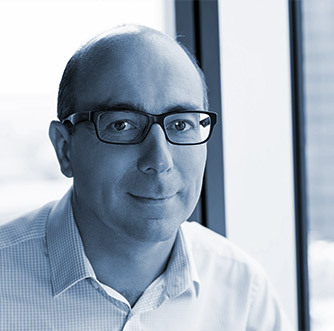 You are responsible for configuring your information technology, computer programmes and platform to access our site. You should use your own virus protection software. You must not misuse our site by knowingly introducing viruses, trojans, worms, logic bombs or other material that is malicious or technologically harmful. You must not attempt to gain unauthorised access to our site, the server on which our site is stored or any server, computer or database connected to our site. You must not attack our site via a denial-of-service attack or a distributed denial-of service attack. By breaching this provision, you would commit a criminal offence under the Computer Misuse Act 1990. We will report any such breach to the relevant law enforcement authorities and we will co-operate with those authorities by disclosing your identity to them. In the event of such a breach, your right to use our site will cease immediately. You may link to our home page, provided you do so in a way that is fair and legal and does not damage our reputation or take advantage of it. You must not establish a link in such a way as to suggest any form of association, approval or endorsement on our part where none exists. You must not establish a link to our site in any website that is not owned by you. Our site must not be framed on any other site, nor may you create a link to any part of our site other than the home page. We reserve the right to withdraw linking permission without notice. The website in which you are linking must comply in all respects with the content standards set out in our Acceptable Use Policy. If you wish to link to or make any use of content on our site other than that set out above, please contact info@artisan-spirits.co.uk. 16. WHICH COUNTRY’S LAWS APPLY TO ANY DISPUTES? 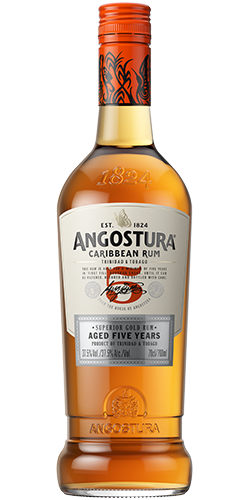 For 5 years, this rum remains in oak barrels ageing so that when it’s ready to be enjoyed, it reveals its deep character. It presents chocolate, spice, vanilla and toasted oak flavours and provides a remarkably warm and mellow finish. It can be enjoyed neat as a sipping rum, or over ice, but its deep character lends to being mixed with stronger mixes, spices and herbs. 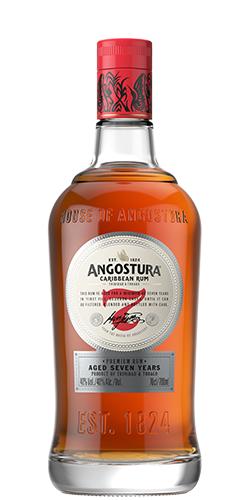 This rum is aged for a minimum of seven years in ‘once used’ bourbon casks until it can be bottled and enjoyed to the full. This rum is packed with mouth watering flavours that include maple, chocolate, honey and toffee and presents a rich full-bodied taste that tapers off in to the classic rum finish. It can be enjoyed neat as a sipping rum, or over ice, equally it can mix a stunning contemporary take on a Manhattan or an Old Fashioned. 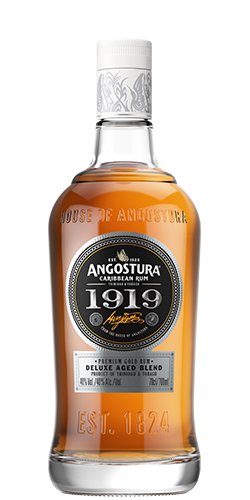 The newest addition to the House of Angostura’s family of premium rums. Colour: Rich mahogany with bronze highlights. Nose: A sweet bouquet of banana, dried fruit and oak with top notes of apples. Taste: Well balanced, a medium bodied palate with hints of dried prunes and sweet rounded oak notes entwined with toffee nuances. Finish: Long and crisp. 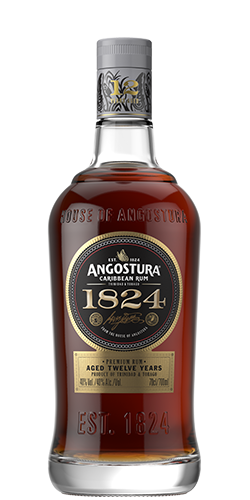 These rums are aged in charred American oak bourbon barrels for a minimum of 12 years and then skillfully hand blended and re-casked. Upon the rum’s optimum maturity it is hand-drawn, filtered and bottled. It is then offered in limited supply for your enjoyment. Sip and enjoy this extraordinary and sensually crafted blend neat, on the rocks with your favorite cigar or in a great 1824 Manhattan. 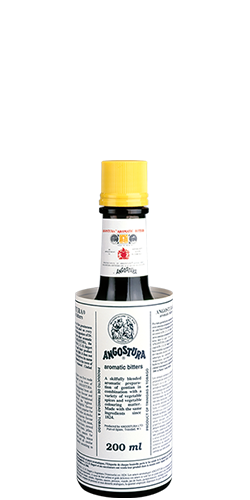 “A cocktail cabinet without Angostura is like a kitchen without salt and pepper.” ANGOSTURA® aromatic bitters adds a layer of complexity, intensifies the flavor of other ingredients, counteracts the harshness of acidic contents and decreases the harshness of spirits. But it doesn’t stop there – it also helps cleanse the palate and aid in digestion. Ever had an Old Fashioned, Manhattan, Pink Gin or Mai Tai? Then you’ve experienced ANGOSTURA® aromatic bitters. It’s the can’t-miss bottle behind the bar, featuring an over-sized label and distinct yellow cap. 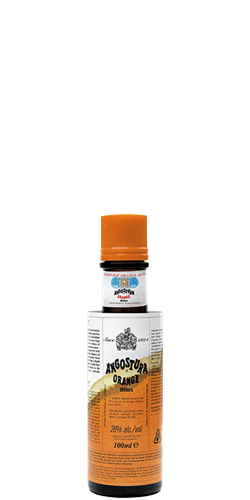 Made from its own special recipe, ANGOSTURA® orange bitters is a complex blend of tropical oranges and spices. “The soul of an exceptional dry martini”; it is wonderfully versatile and pairs perfectly with vodka, gin and whisky. It also adds a depth of flavour to rum cocktails. Its complexity and layers of flavour also make it a culinary must-have ingredient. A perfect accompaniment to savoury sauces, seafood and chocolate. 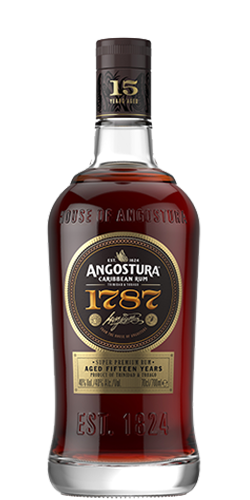 The latest innovation from the House of Angostura. 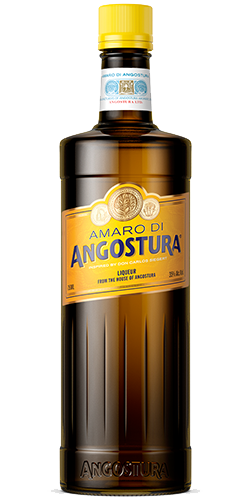 Amaro di ANGOSTURA® is derived from the bespoke process used in creating the House of Angostura’s iconic aromatic bitters. It is a deep amber colour, offering aromas of cinnamon, dark chocolate and unmistakeable ANGOSTURA® aromatic bitters. The finish is perfectly balanced, exotic, lush and reminiscent of the essence of Trinidad and Tobago’s pulsating rhythms, tropical climate and beauty. This beautiful liqueur can be enjoyed over ice, is splendid on its own and offers delicious harmony in a cocktail. 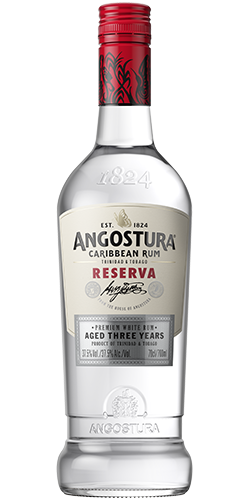 Angostura® Reserva is supple and luxurious. Aged for 3 years in oak casks, it possesses a dry taste with a rich and warm flavour of vanilla and a finish that is incredibly smooth. This warm, colourful, creamy, gentle rum, is perfect for mixing with seasonal fruits to create light cocktails. Favourite Cocktail 1824 Manhattan with Angostura Bitters of course!